It has been 26 years since Parramatta won a premiership. 1986 was the year, the Eels defeating their arch nemesis Canterbury-Bankstown in the only ever try-less grand final. Theirs is not the only drought. The Sharks are yet to win a premiership after 49 years in the competition. The Bears (if they’re granted re-entry) have the longest drought in the NRL at 90 years. 1922 was the last time they won it. South Sydney hasn’t held the cup since 1971. In terms of time frame, Parramatta’s drought pales in comparison, but the Eels have experienced so many close calls that they have the chokers tag well and truly etched into them. The club missed the finals every year between 1987 and 1996. Under Brian Smith they would make the finals for the first time in 1997. But their run of close calls would begin in 1998, when one of the greatest capitulations in NRL history occurred. Parramatta led the Bulldogs 18-2 with 11 minutes to go and seemed certain to progress to the inaugural NRL grand final. Five tries, a miracle conversion, and extra time later, Parramatta had been soundly beaten 32-20. Paul Carige, who many believe cost Parramatta the game became the target of fan angst so much so that he left Sydney and then the country, bringing an end to his career. 1999 the Eels finish second and would once again make the preliminary final. They would meet the Melbourne Storm in Sydney. 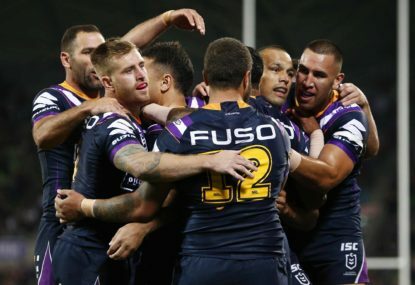 The final score would be 18-16 to the Melbourne Storm, a second consecutive heartbreaking loss. In 2000 the Eels dropped out of the top four and finished seventh. 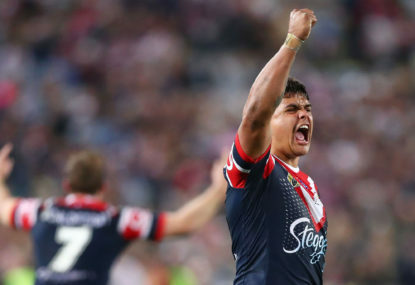 They weren’t given much chance against the Roosters, but upset them 32-8 and then beat Penrith the next week to win through to their third consecutive preliminary final. Played at Stadium Australia this time against premiership favourites the Brisbane Broncos, Parramatta would come agonisingly close for the third consecutive year, the final margin just six points. 2001 remains arguably the most painful year for Parramatta Eels fans to swallow. The Eels put together just about the most dominant season on record. They scored more points in a season than any other team in history and were unbackable premiership favourites. Andrew Johns and Ben Kennedy had different ideas. The Eels cruised through to the grand final, but within 30 minutes trailed the Knights 24-0. They would make a brave comeback, but the final score 30-24 was flattering to the Eels, who were very disappointing in their first grand final since 1986. Whenever reminiscing about the final, Parramatta players often speak of Brian Smith’s distraught face after the game. Fast forward to 2005 and the Eels after a couple of disappointing seasons were the minor premiers, ahead of St. George Illawarra on point’s differential. Statistically the best attacking and defensive team of the competition, the Eels would account for Manly in the first week of the finals and two weeks later would host the North Queensland Cowboys in front of 45,000 fans at Telstra Stadium. 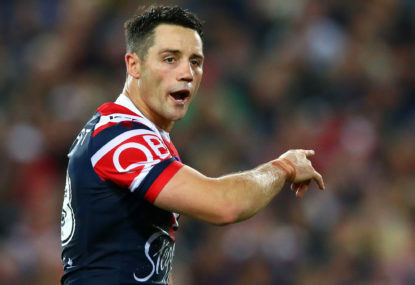 The Cowboys had been beaten by the Tigers in the first week of the finals 50-6 but recovered the next week and beat the Melbourne Storm in Sydney. With the Tigers accounting for the Dragons the night before, Parramatta had every reason to believe that it was their time. What happened though was the last thing the Eels would have expected and wanted, a 29-0 drubbing at the hands of an inspired Cowboys. Once again, the Eels had promised so much, but delivered so little. 2007, the Eels finished fifth but defeated the Warriors in a close game at Mt. Smart Stadium in New Zealand. The next week they would easily account for the Bulldogs 25-6 in front of more than 50,000 at ANZ Stadium. In yet another preliminary final appearance the Eels would play the Storm in Melbourne. In front of the biggest ever crowd for a Melbourne Storm game, the Eels would play well, but the Storm were too good in the end. The 26-10 score line was not reflective of the closeness of the game. 2009 looked likely to be a disappointment similar to 2008, the Eels had the potential but weren’t using it. Sitting 14th on the ladder, Parramatta were battling to avoid the wooden spoon when they put together a miracle stretch of performances which saw them win eight of their last nine to make the finals. Their fullback, Jarryd Hayne, won the Dally M player of the year award for his efforts in the back end of the season. It was an exciting brand of football that kept Parramatta fans on the edge of their seats. 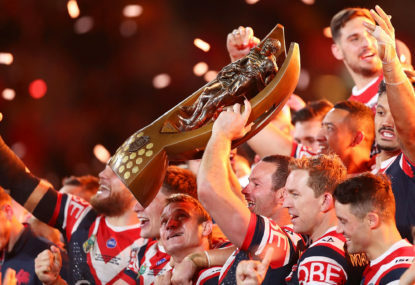 They would play the minor premiers St. George Illawarra at Win Jubilee Oval in the first week of the finals and would beat them 25-12 in one of Parramatta’s best performances to date. They would easily account for the Titans 27-2 in the semi-final the week after, and a week later meet the Bulldogs in one of the most hyped preliminary finals in history, played before a record non-grand final crowd of 74,549. The two traditional rivals played a magnificent game of football and Parramatta got the better of the ‘Dogs in the second half. They won 22-12. The Eels were back in the grand final this time against the Melbourne Storm. Similar to the 2001 grand final Parramatta would start poorly and then come back late. A Fui Fui Moi Moi try late in the game had the Eels within 6 point of the Storm. Moi Moi’s try remains one of the best ever grand final tries, showcasing his superb strength as he took 5 defenders with him from 20 out and barged over. But a controversial penalty a minute later saw the Storm seal the game with a field goal and a 23-16 win. 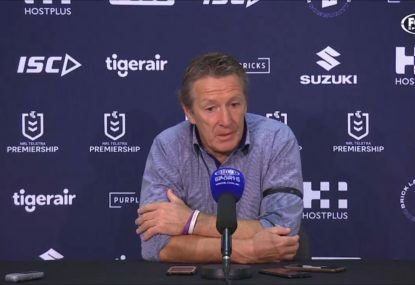 The loss was difficult to digest and became even more difficult when it was announced that the Storm has been cheating the salary cap and would be stripped of this premiership. ‘You have to lose one, to win one’, said the Parramatta players in the lead up to the 2010 season, but the pre-season favourites failed to fire in 2010 and missed the finals completely. 2011 was horrible for Eels fans. A new coach, question marks over the recruitment of several older players and a string of close losses, Parramatta finished 14th. I’ll always remember 2011 for the look of anguish on the face of Nathan Hindmarsh as the losses piled up. 2012 hasn’t been any better, in fact its been much worse. Only one win from 10 losses, a very poor defence and big name players not firing. The 26 year drought will now turn into 27 and the pain of knowing how far we are from a premiership is only made worse by the thought of how close we’ve been.